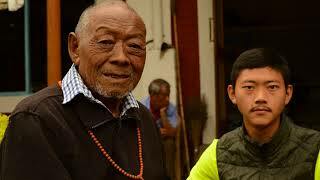 The largest concentration of Tibetan refugees is in South India, spread throughout five settlements. A growing population and increasing number of destitute families moving into the settlements from other places had put heavy demands for more schools, particularly day-care centres, that would take care of children while parents toil on farms. The SOS Tibetan Children's Village at Bylakuppe was opened in 1981 on sixteen acres of land donated by the settlement. After a great deal of planning and work, an idyllic children's village was created. Currently, the village has 29 homes, two hostels and complete facilities for education through class twelve. Beside this village, TCV runs ten day care centres for the benefit of the Tibetan settlers around the Bylakuppe and Hunsur areas. TCV's commitment in the South India has solved many pressing needs of the people and has contributed a great deal towards the development of the community. In today’s day and age, moral values hold utmost significance. Our most revered spiritual leader, His Holiness the Dalai Lama time and again relays via teachings, the importance of bearing sound moral values. Students especially being in formative stages of life should try to inculcate the basic values of moral education. And that would contribute immensely for a quality and a bright future. The very purpose of you being in school is education. Education is equally important. You must, at any cost cannot compromise with studies. In today’s world of stiff and intense competition, you need to work lot harder if you harbor any thoughts for bright academic future. On a larger scale, our Country is in most fragile and critical situation. Tibet needs you more than ever. So, direct all your focus on studies and try to become a contributing member of our nation and of world at large. Well, working in the dog care club is actually quite amazing, getting to know how to inject a needle to pull out maggot from the infected part of the dog. Normally while doing our work, people say everything from good to bad. But, we do this with only one purpose that is to help them. We the human beings can complain our problems to anyone but as for these helpless animals, they just can’t. So we have to approach them. Engaging ourselves in taking care of poor animals serve our school motto, “Others Before Self” just right.